Paraire Henare Tomoana was born in either 1874 or 1875 in Hastings. Paraire belonged to Ngati Te Whatu-i-apiti and Ngati Kahungunu; through his father he had links to the hapu Ngati Hawea, Ngati Hori, Ngati Te Rehunga and others, and through his mother, to Ngai Te Ao, Ngati Hinepare, and Ngati Hinetewai. His mother and father were both prominent Māori leaders in Hawkes Bay and, inheriting illustrious lineage from both parents, Paraire was destined for leadership. He attended Te Aute College, where he became a prefect and captain of the school. 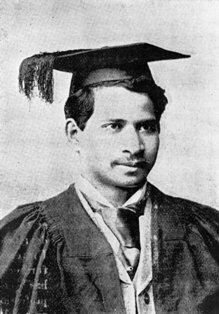 At school, he was a contemporary of Sir Apirana Ngata, with whom he remained firm friends and whom he also supported politically. Paraire was also a formidable athlete, representing Hawkes Bay in rugby, tennis, cricket and hockey, and Turanga in golf. For over ten years, he remained the undefeated champion of the New Zealand Māori golf tournament. In 1904 he was appointed coach of the All Blacks. Paraire married twice. His first marriage had ended by 1912 and in 1913 he married Kuini Ripeka Raerena, aged 19 and one of eight children of Taare Raerena (Ryland), a farmer of Ngati Porou, and Harata Akuhata-Brown (Paraone). These were my great-great-great-grandparents. Kuini was the sister of my great-great-grandmother, Celia Raerena. Paraire had courted Kuini by singing his own composition, the love song ‘Pokarekare ana’, to her and her Ngati Porou elders on Te Poho-o-Rawiri marae. There were four sons and four daughters of this marriage, and Paraire also had an adopted son. Paraire was a pioneer composer of songs in the new ‘action song’ style, moving away from classical waiata which used small note ranges, no harmony and irregular metre. Instead, he wrote words to fit harmonised tunes written in diatonic scales and generally deriving from European songs, the rhythms adapted to fit Māori idiom. One of his best-known songs was ‘Te ope tuatahi’; others are still among the most popular Māori songs in New Zealand. During WWI, Paraire helped raise funds for the Maori Soldiers’ Fund by organising a song and dance group (Te Poi o Heretaunga) which performed at Waimatatini, Wellington, Trentham and Auckland. 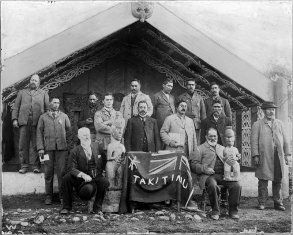 They performed many of his compositions, including Hoea Ra Te Waka Nei, and E Pari Ra (1918 – the famous tangi for soldiers lost in battle). Other well known songs written by Paraire were ‘Tahi nei taru kino’, ‘I runga i nga puke’, ‘Hoki hoki tonu mai’ and the haka ‘Tika tonu’. As well as composing action songs, Paraire was an accomplished writer and translator, a commentator on ancient waiata, and was well versed in Maori history and lore. In 1946 he suffered a stroke and died on 15 April. He was survived by Kuini, who died in 1984, four daughters, three sons and his adopted son. He is buried in the Waipatu cemetery at Hastings. A century of Maori song : a collection of words and music for 56 traditional and contemporary Maori songs of 20th century. Volume one. He koha : a gift of Māori music / [compiled by] Blossom Taewa and Stuart Pearce. Waiata Maori : a festival of Maori song / sung and narrated by Inia Te Wiata. Reo : he waiata Maori hou o Aotearoa = contemporary Maori songs of New Zealand. The voice [sound recording] / Teddy Tahu Rhodes. Whisper you all the way home [sound recording] / 2003/224 New Zealand Secondary Students’ Choir. The young Kiri [sound recording] : the early recordings, 1964-70.